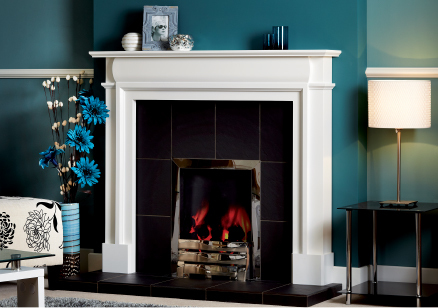 "Just to say thank you so much for all your help on the two occasions when I came in to look for a fireplace. Your time, patience and good advice were much appreciated. I am really pleased with it and it really made my Christmas. Many thanks also to your cheerful efficient fitter who did a fab job." "Thank you for a lovely job. The fire looks very smart." "Many thanks. 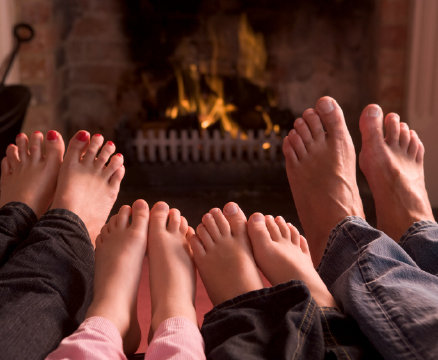 Really pleased with the new fire and the advice and service you gave." "It has been greatly admired and I am so pleased with it." "Please find included a cheque for the out- standing balance. I would also like to say thank you for the pro- fessionalism of both your showroom and installation teams; we were very happy with the standard of the work and are de- lighted with our new fireplace. We would have no hesitation in recommending your services." "To all concerned, Thank you for all your help. 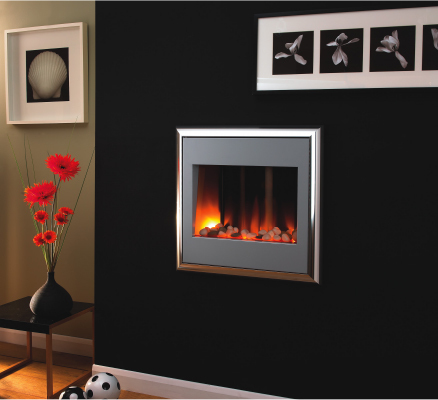 I am delighted with my new electric fire and mantel and also for the efficient and expert fitting. What a difference it has made." "May I take this opportunity to thank you for the excellent service given by yourselves. The ladies in the showroom were very helpful and friendly as were the fitters who did a very impressive job and left everything clean and tidy. They also took the time to explain everything clearly and were very polite and obviously took pride in their work. I would definitely recommend your firm, and once again thank you to you all." Just a note to say thank you for your efficient service in supplying and fitting my choice of electric fire. Couldn't have asked for a nicer chap to survey and then fit our fire – no mess and nothing ap- peared to be too much trouble to him. I am so pleased with my choice of fire and thank you for your reassurances when I forgot I'd seen different types re manual buttons and remotes. It is exactly as I had wanted, having had it in use now. It even seems to have a reddened glow when off – whenever room light is on which was the 'effect' I had hoped for. Thank you again." "We are both delighted with the final result and would ask you kindly to convey our thanks and good wishes to everyone in the showrooms and, of course, to both of your excellent fitters." "I would just like to thank you for your excellent after sales service. To have you listen then deal so efficiently with the problem we had was great. We are very pleased with our replacement fire and even though there is still a slight hum which we understand is normal, it is nothing compared to the noise of the original one. Thank you for everything. 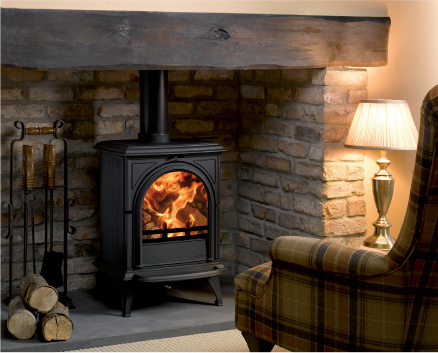 We would certainly recommend you to anyone thinking about buying a new fire as it is not often these days that one finds such good customer service." "We would like to take this opportunity to thank you for the manner in which the purchase of a new gas fire has been dealt with. All our queries were answered with sound technical "know how" and we were gently guided through the choice of fires, and the process with which it would be installed. When it came to the installation we couldn't have been more impressed. The young men arrived on time, were quick, efficient, clean and very polite. When they had finished, the room was tidy and the fire looked lovely and worked perfectly. Having lived with it now for three weeks, we are delighted with our choice. Not only does it look better than the old one but it seems to be more effective, as we had hoped. We are so pleased that we chose 'Focus' to carry out this work for us and would not hesitate to recommend your company to anyone. With very many thanks to all concerned." "I am writing to thank all concerned for helping me choose, remove the old and fit my new fire- place. Everything was done so efficiently and thoughtfully. I am delighted with my choice and will enjoy looking and living with it. It was a daunting proj- ect for me. A special mention to the fitters who were really helpful. Thank you so much. "Visit our showroom - the hottest place in York."